Why Are You Making It So Hard... for me to give you my money? 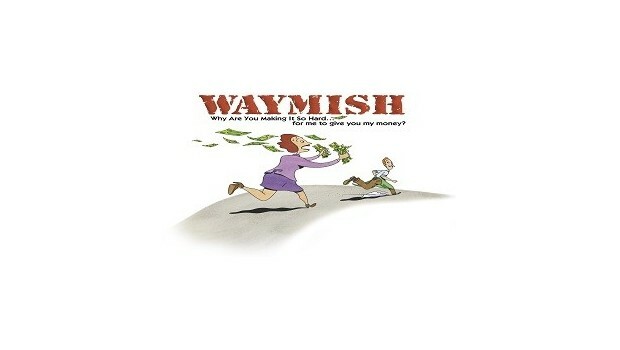 WAYMISH is an acronym for: Why Are You Making It So Hardfor me to give you my money? A customer approaches your place of business, fully intending to buy something. Then, it happenssomething frustrates the customer to the point where she changes her mind and leaves without spending a dime. The "it" is a "WAYMISH" and 2 out of 3 times, it results in the permanent loss of a customer. WAYMISH is an acronym for: Why Are You Making It So Hardfor me to give you my money? It represents all the slights and indifferences made by employees and organizations that lead customers to believe that you don't really want their business. Things like not listening to what the customer is saying, putting policies ahead of common sense, not attempting to resolve complaints, etc. Can you afford to create unhappy customers that take their business elsewhere? Eliminate WAYMISHes and keep customers with this superb customer service program. Hidden-camera footage reveals service providers in retail, hospitality and banking committing all-too-common WAYMISHes. Then, the show's folksy host walks these employees through the things they can say and do to convey genuine service excellence. Your trainees will love the way the show's host is COMPLETELY on their side--not trying to embarrass, not trying to preach--just suggesting new more effective ways to handle customer situations. The Supervisor Show component plays off the main show and further helps supervisors understand the unique role they play in setting the right tone and working with employees to prevent WAYMISHes.